Instagram, since being purchased by Facebook in 2012, has gradually made its way to an algorithmic feed, one that makes it ever more difficult to track engagement and grow your followers organically. 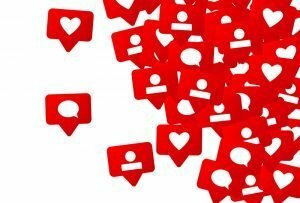 In 2018, there will be more options than ever for you to “pay-to-play,” but knowing how to get followers on Instagram organically will give you a more engaging social media presence. You’ll create more loyalty amongst your followers too. Here are 10 ways to increase your organic Instagram followers, meaning you won’t have to pay any extra to see positive results. Instagram story is still under-used and offers you the opportunity to stand out. Stories live above the feed, making your posts more visible to those that follow you and, in general, are more engaging. Take advantage of your opportunity to hook people in by writing a memorable bio. It doesn’t have to be an essay, but it should be a clear indication of who you are and what you’re all about. One of the greatest aspects of Instagram is that you can change this as often as you like. So, play around with it until you feel you’ve got it just right. Just as your bio is the first introduction to who you are, so is your profile. This includes a quick reference of all your most recent posts. It’s important to keep this consistent so that people who aren’t familiar with you can easily get a sense of who you are. Go through and do a little trimming every now and then, removing those random cat photos, so as not to distract the eye. Or, if your Instagram is all about cats, get rid of those human photos. This doesn’t mean you need to completely understand the computer software, but do invest just a little time into understand it how it ranks posts. A few minutes spent understanding the basics can translate into more reach for your social media presence. Everyone has an opinion on when is the best time to post. It depends on your followers, though. Instagram makes it easy to check the stats within the app. Tap the profile tab, then the Instagram insights icon, and finally the bar chart icon in the upper-right corner. This will show you your follower activity. Here you can see when your followers are most active and post accordingly. From trivia questions to giveaways, interacting with your followers by hosting a contest or giveaway can be a lot of fun. This is a sure-fire way to increase your relationship to followers, allowing you to rank higher within the algorithm. This is similar to hosting contests, only you can do it much more frequently. Pose a question to your community that encourages them to interact with you. This is still one of the best ways to increase your organic Instagram followers. When you go live on Instagram, your icon will live at the top of the feed, accompanied by a little red “Live” badge. This makes you more visible to your followers and helps you stand out. Research suggests that people may like photos more, but comment more on video posts. Why not mix it up and get the best of both worlds? Over-posting can have a negative impact on your overall reach. Make sure you focus on the quality, not the quantity of your posts. Always leave them wanting more! This is key in attracting those organic Instagram followers.